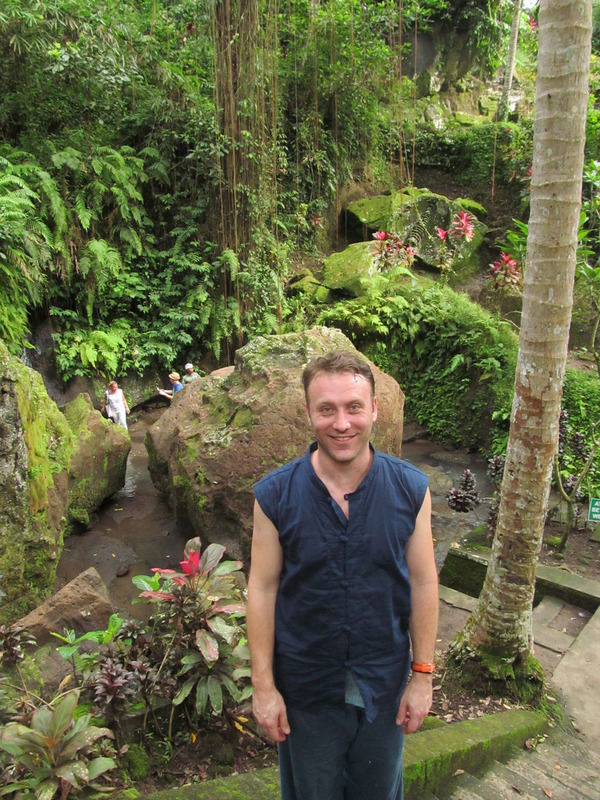 It’s been another delightful week in Bali. How interesting it’s been to discover how all the arts we are studying are connected. 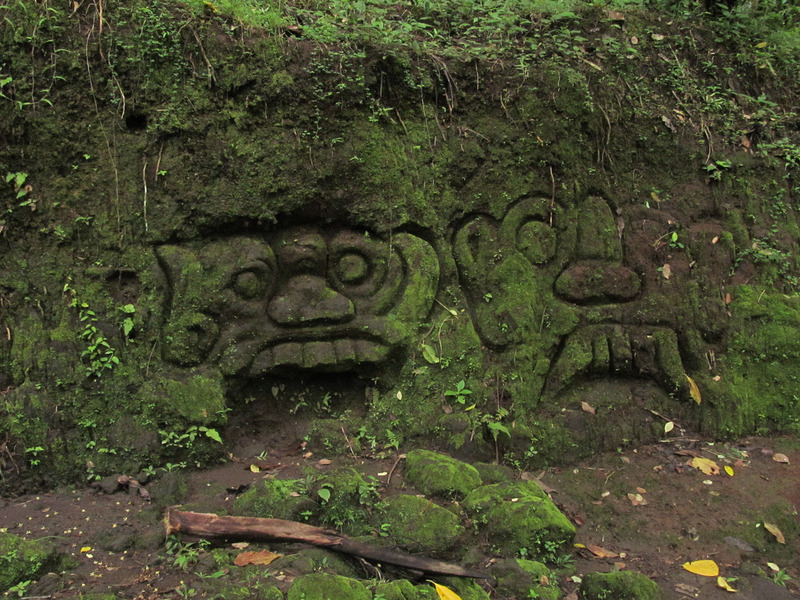 The masks must be carved for the dancers to wear. The hand movements of the dancers echo the movements of the puppets. Mask carvers are also often dancers, or sometimes gamelan players. 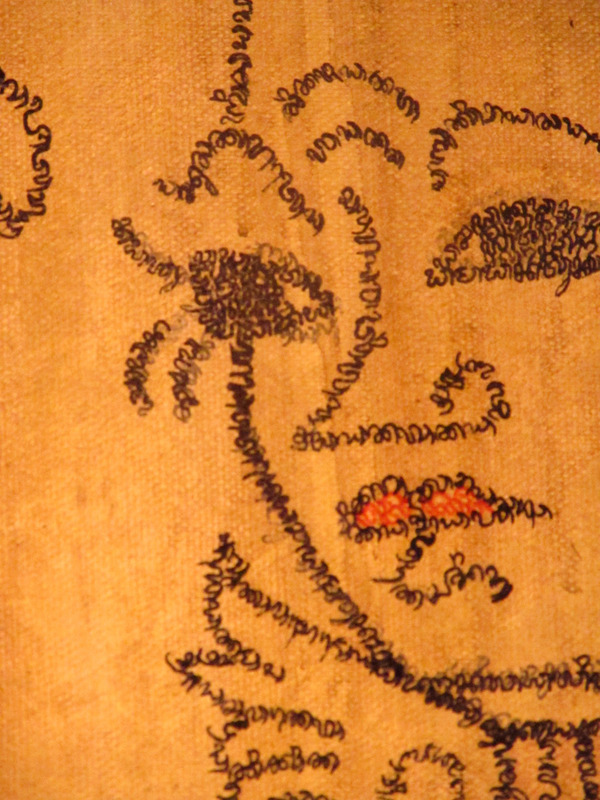 And faces appear everywhere, not just on performers. 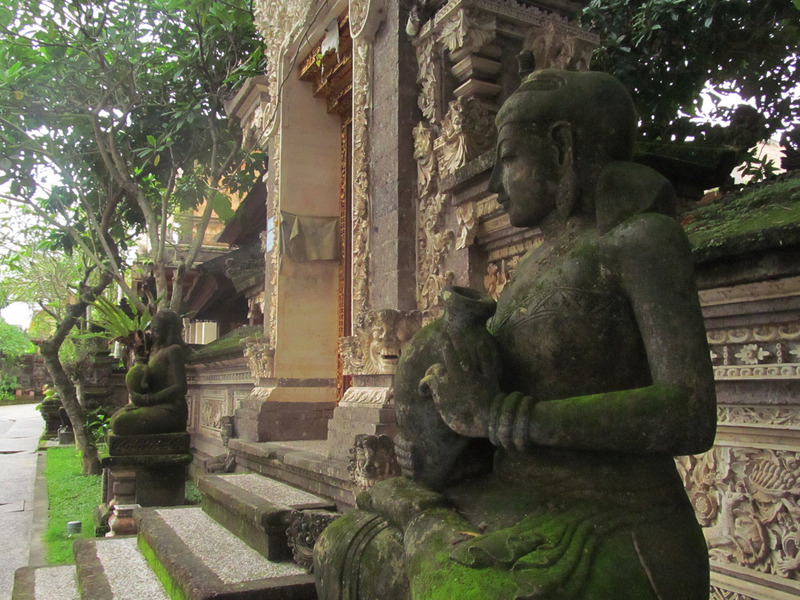 They appear in the middle of stone walls facing the wantilung where we have dance and kecak classes. 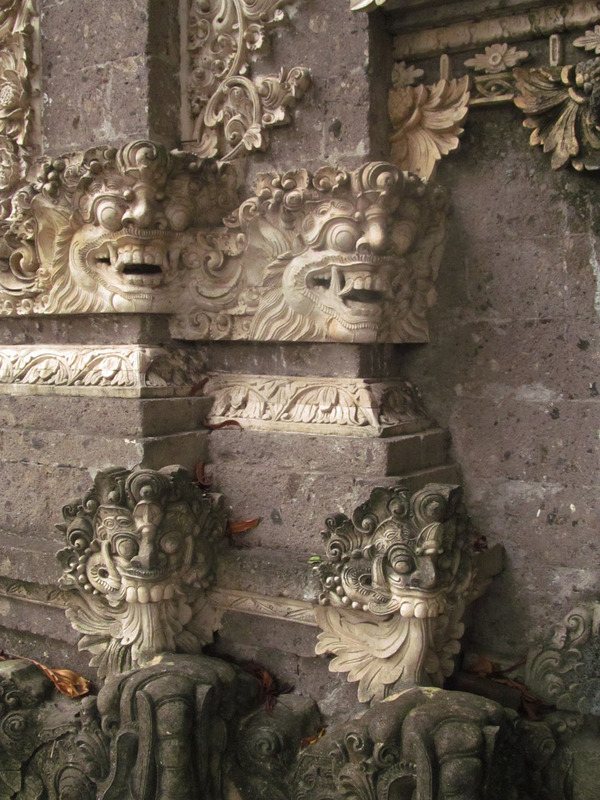 Faces line the paths in the forest that trace the path of the river and adorn the edges of buildings and columns. Faces are everywhere! 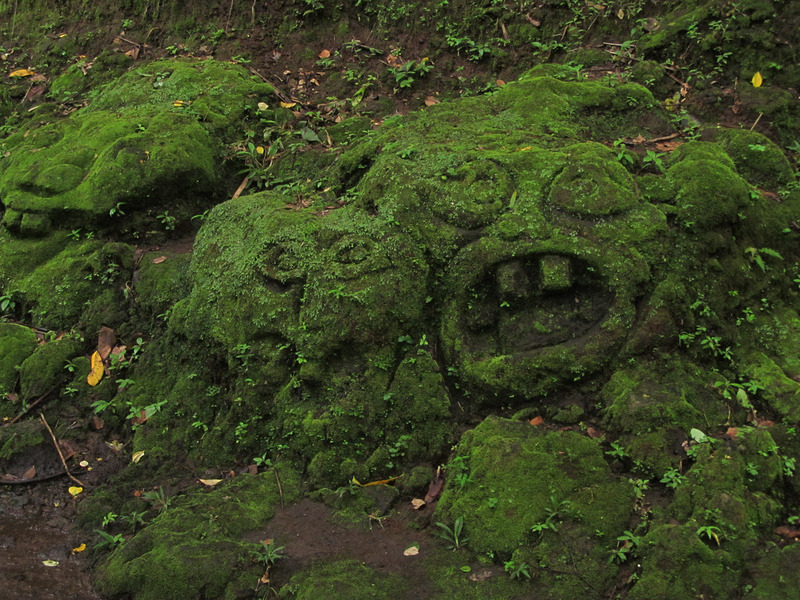 The moss-covered faces on the path to Goa Gajah from our carving area in Bedulu. 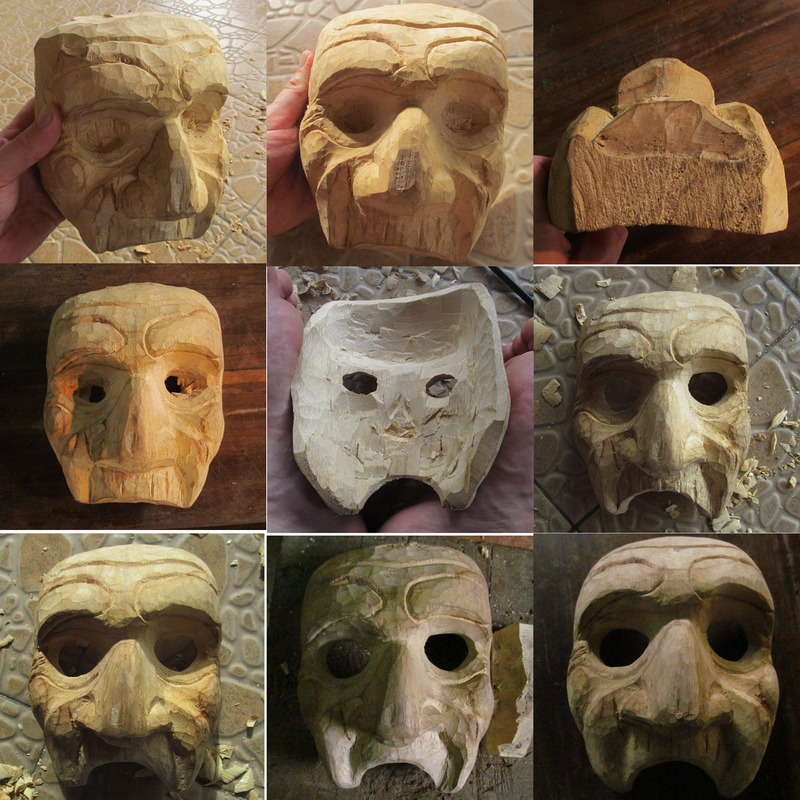 Mask carving is progressing nicely- I may be able to begin a second mask on Monday! 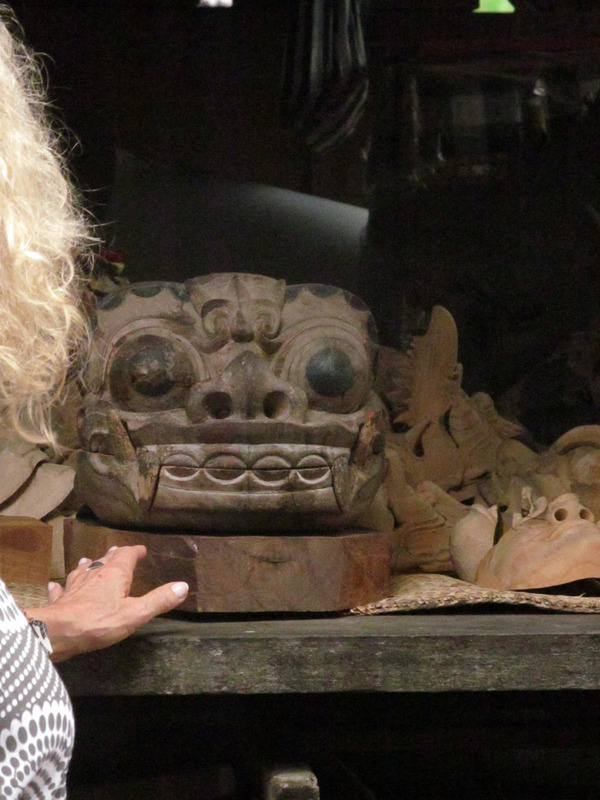 It’s fun trying to translate things I already know into a new medium, and to hear the insight of a master carver. Nyoman is also full of stories about Balinese culture. My progress this week! With half masks, you must work back and forth between the finished character design and the fit of the mask. If the inside is not sufficiently hollowed, it affects how the mask sits on your face, and therefore the proportion of the character design. The edge of a doorframe. 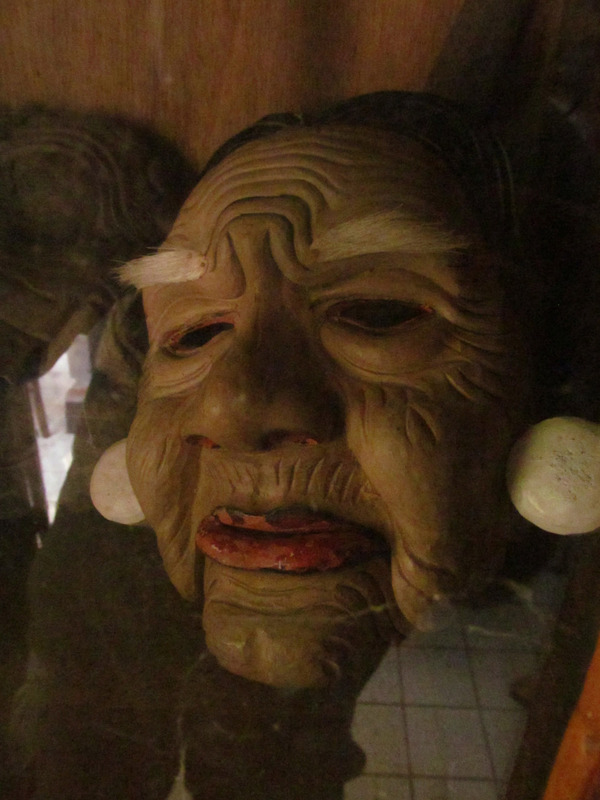 Last Wednesday, we took a mini-break from classes to visit a mask and puppet museum in a nearby village. It is so very rare to see this many masks in one place– and the whole visit is free of charge. Barong Ket mask by Tisnu. Operated like a puppet, he has a jaw that opens. His power is in his beard. The first building concentrated mostly on variations of the Barong mask. 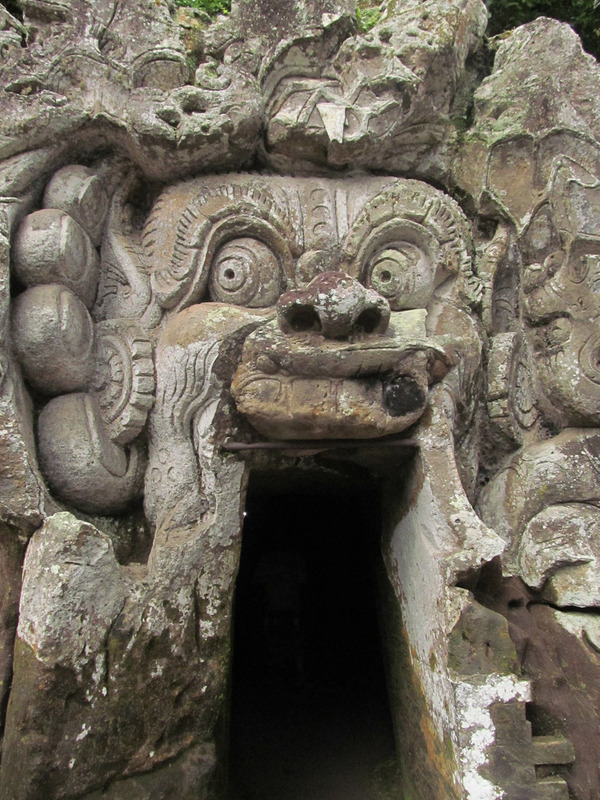 The Barong is an animal figure that protects the village. There are several variations, including the boar barong, elephant barong, tiger barong, and the barong ket. The next building featured many masks of the Topeng—the mask dance form we are studying—as well as character masks from the Ramayana. Topeng dances feature storylines from the golden age of Balinese kings, and feature characters like the prime minister, the old man, and the king. While those characters are pantomimed, the servants and bondres clowns speak to the audience. Each dance closes with the Sida Karya mask. The Sida Karya mask. This set of three photos shows how an excellent mask can provide a wealth of expression from all angles, even when it is stationary. 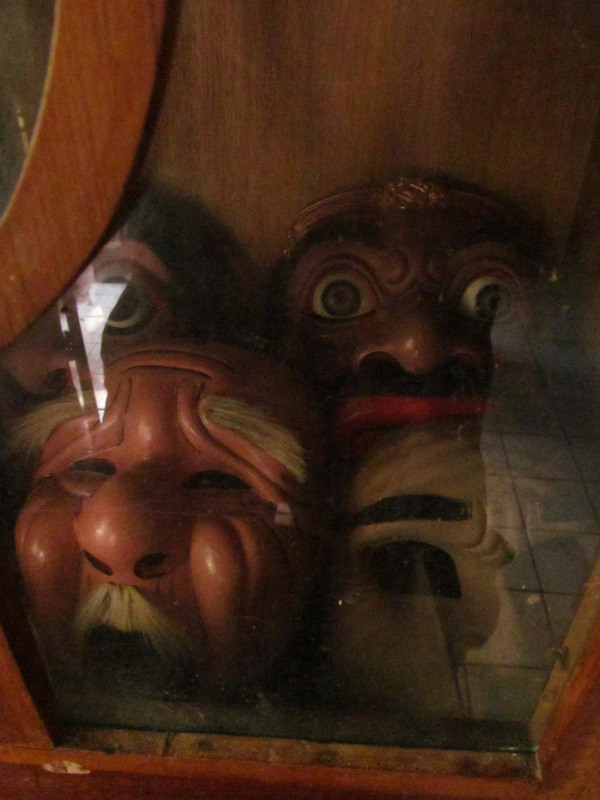 The museum also houses collections of masks from around the world, as well as shadow puppets from all over SE Asia. The Barong Ket carved by Tisnu’s grandfather. 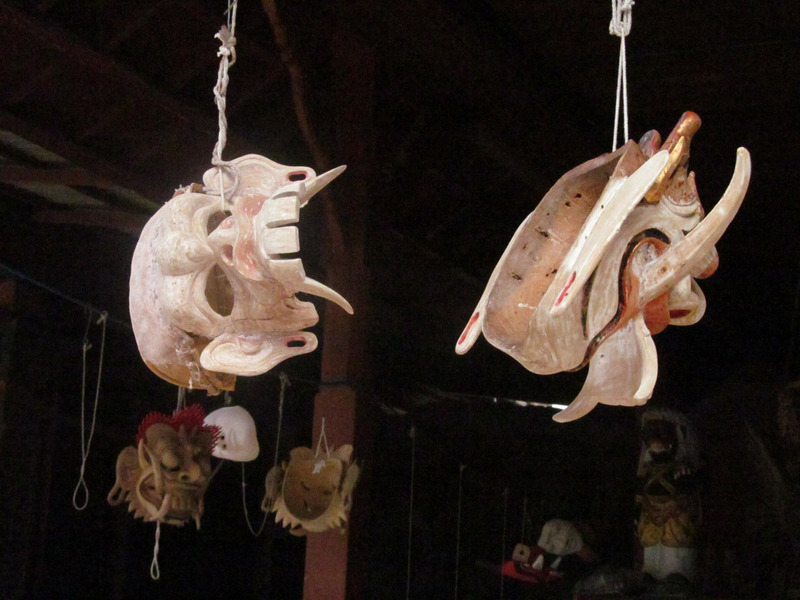 We were taken to the house of Tisnu, a carver renowned for his sacred masks – including the Barong Ket, the Rangda, and more- by Judy Slattum, author of Masks of Bali: Spirits of an Ancient Drama. We were able to hear more about his work, the processes of creating sacred mask and costumes, and purchase some of his non-sacred masks. 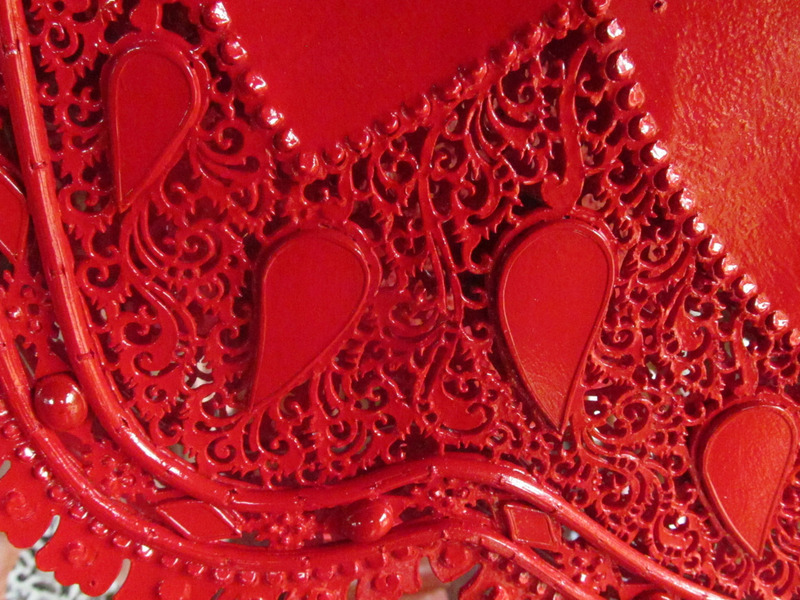 The details for the costume are carved from bison hide (as are shadow puppets) before being painted and decorated. Some masks that are being re-conditioned and re-painted. Left is a comic witch mask, right is a Durga or Rangda. Pak Tisnu not only is an accomplished carver and dancer of a masks, but I believe he plays the gamelan as well. He is a former vice-chair of the University, too. 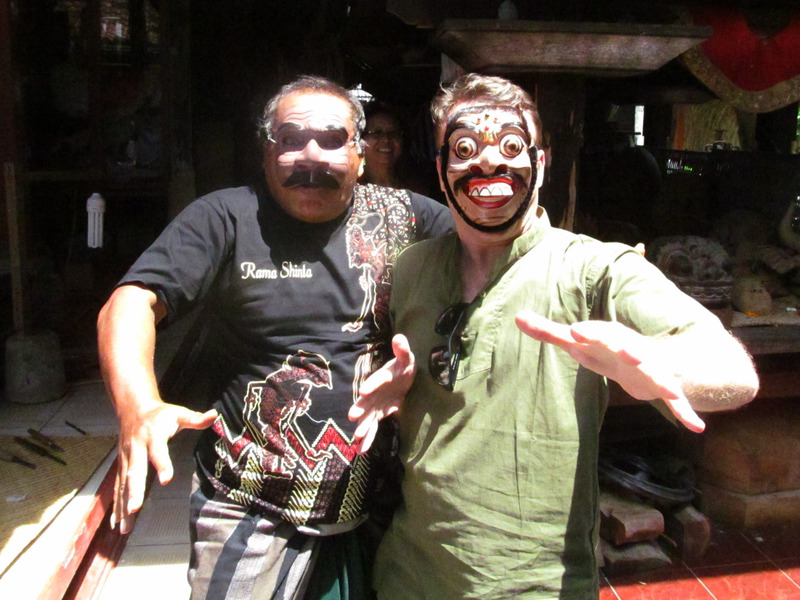 We visited this talented man at his home, which is part of a palace compound in a village outside of Ubud. We also were able to visit a carver who lives just down the road from Pak Tisnu. 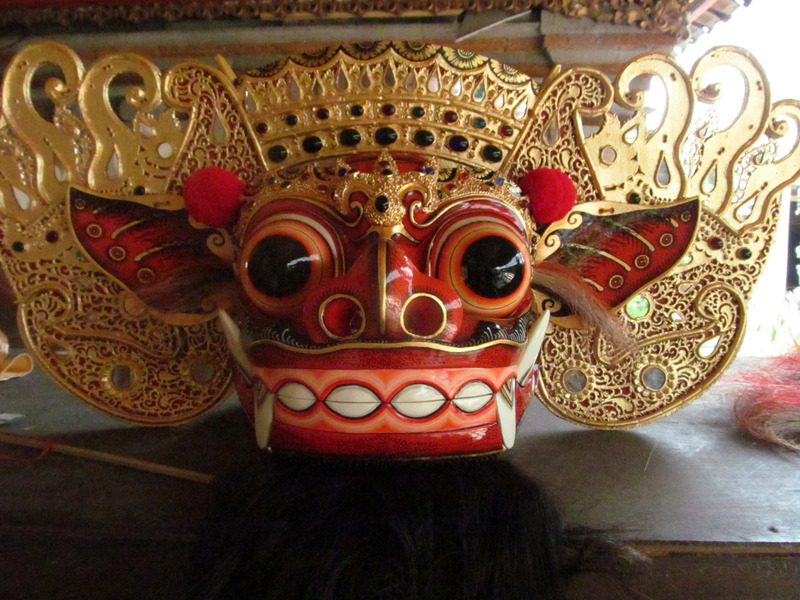 The majority of the Balinese masks in the Museum of Masks are his work. His name is I Wayan Tangguh. 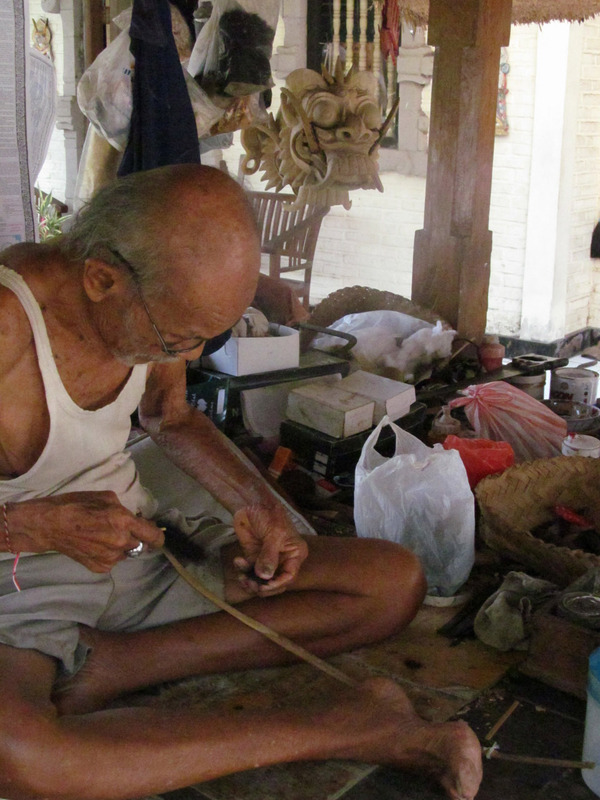 I Wayan Tangguh at work weaving horse hair into strands for masks. In addition to topeng, he creates masks that are part of the wayang wong tradition. His son and some apprentices were working on a large order when we dropped by. This trip was funded in part by a professional development grant from RACC. Enjoying reading about this adventure. Though I have to tell you that Carolina is not a fan of masks apparently. As I read this one, she kept saying “that’s scary!” Looks like you are in your element. Hope the trips is everything you want it to be. Such an amazing journey you’re on! What I love about your writing is that to the reader it is communicating both your wonder and curiousity, and teaching us what you’re learning as well. What a fascinating mask culture….so very glad you are there! I love seeing the step-by-step woodcarving! What a delightful blog post!! I am writing the last essay on my time time in Bali some thirty years ago and will reference what you have written here. Thank you. Exhibits and puppets and spring—oh my!